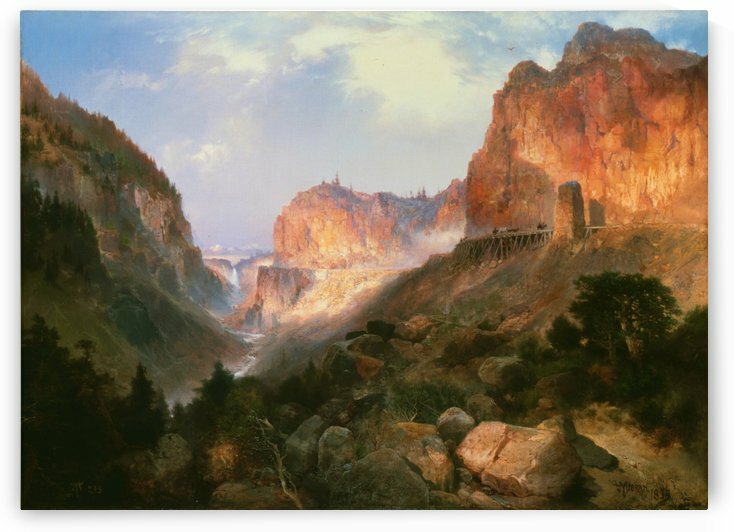 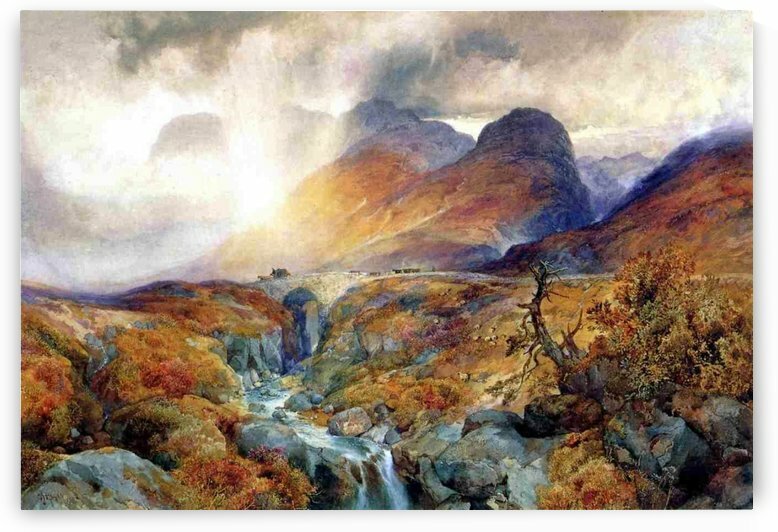 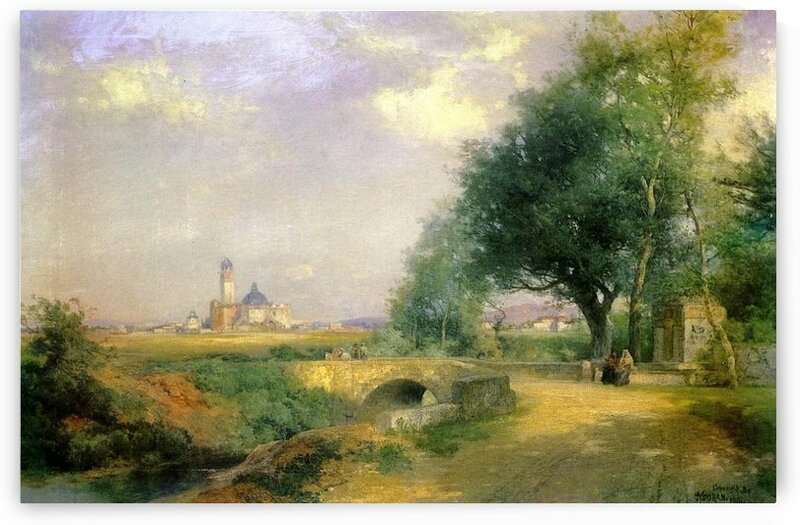 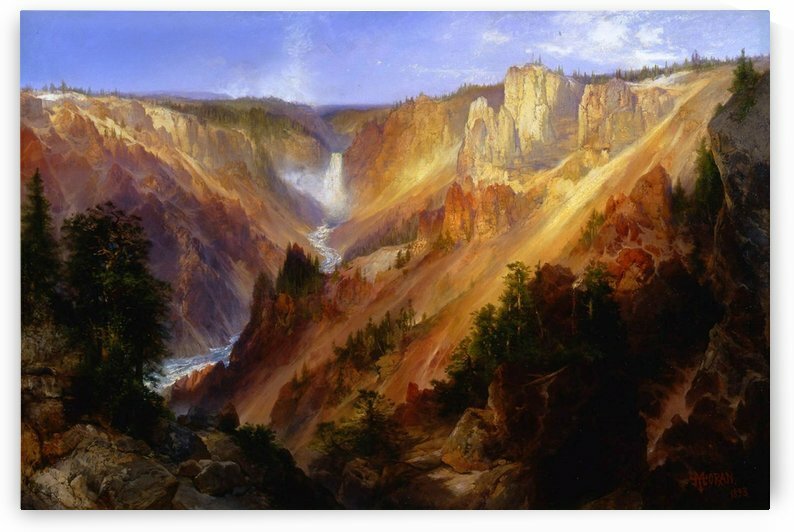 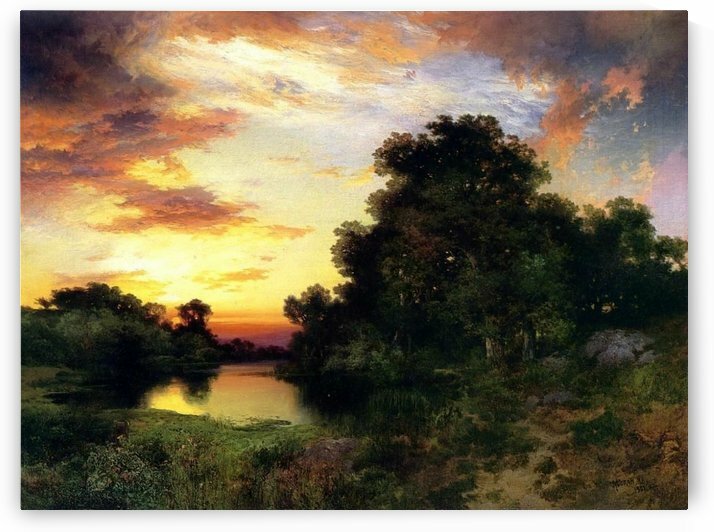 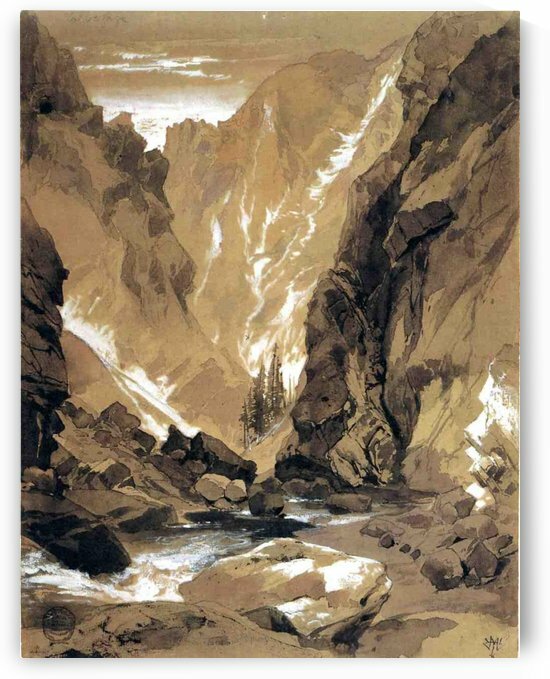 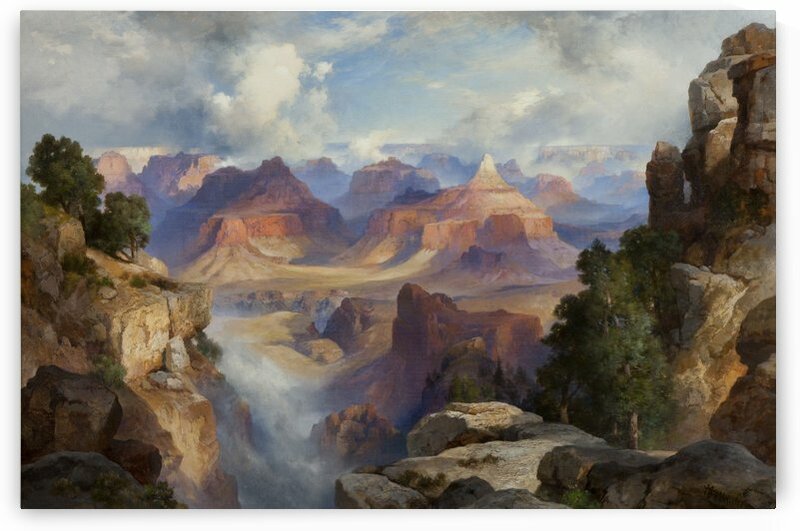 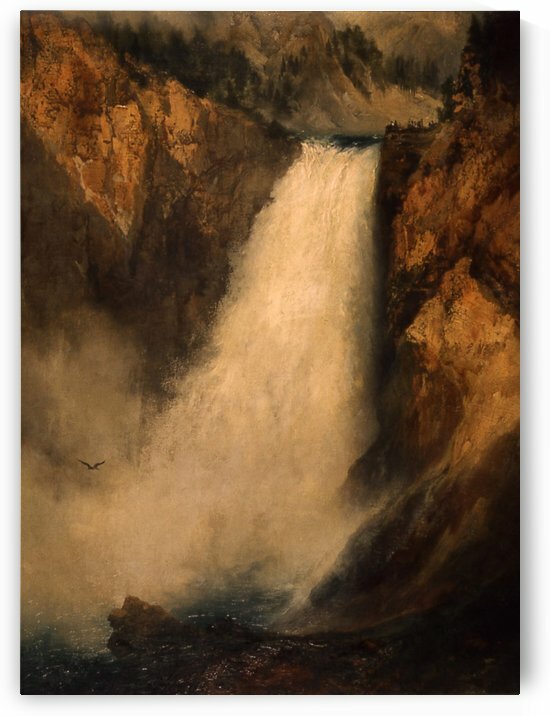 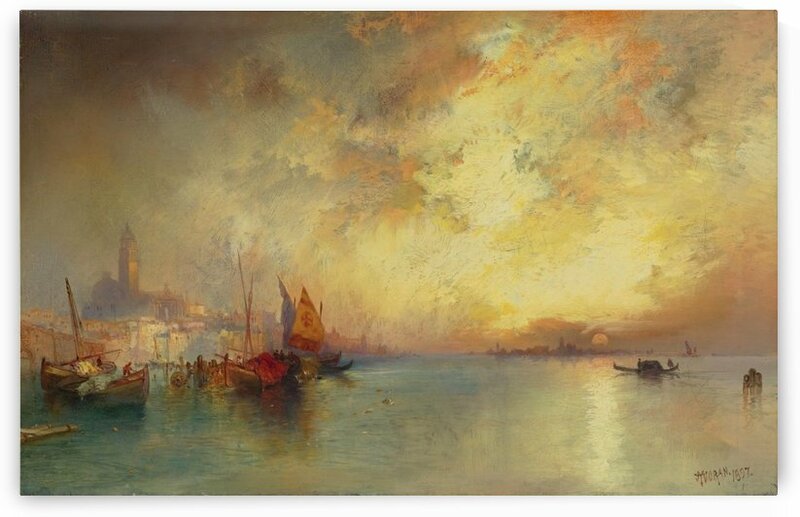 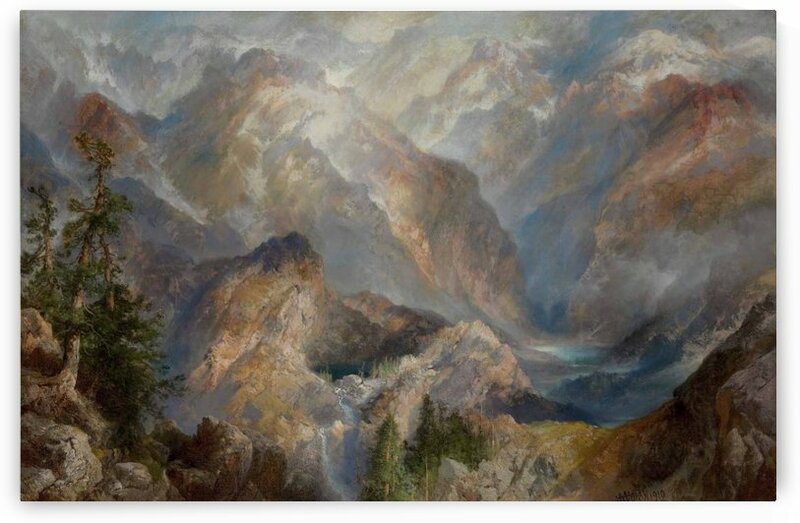 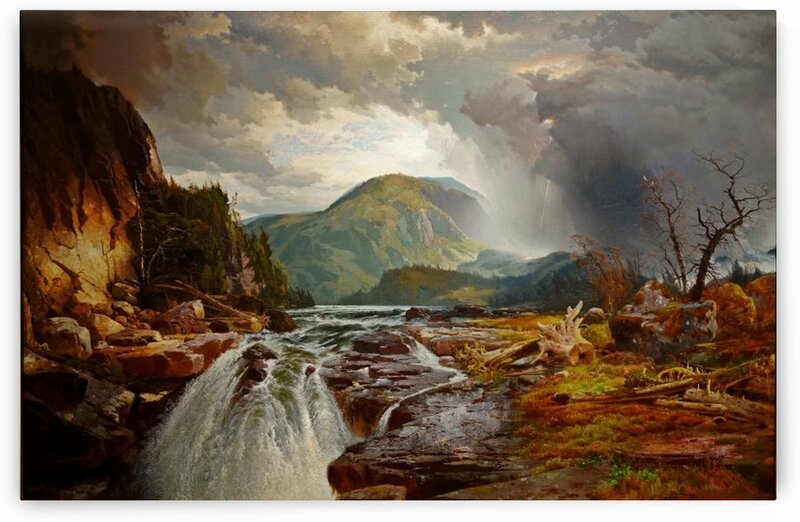 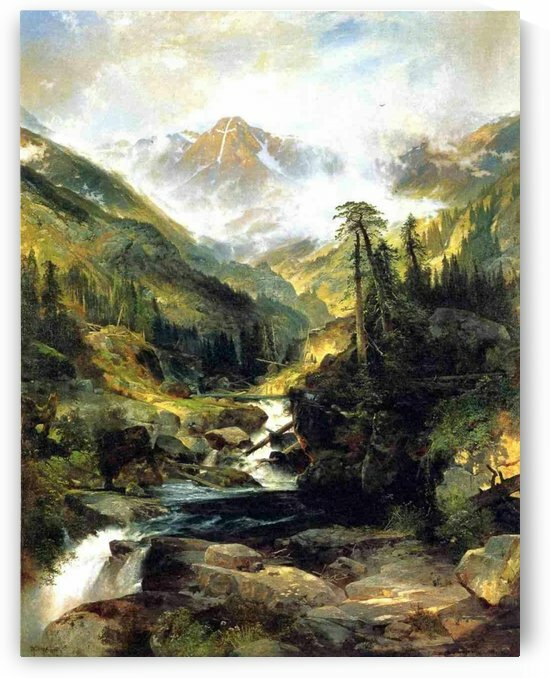 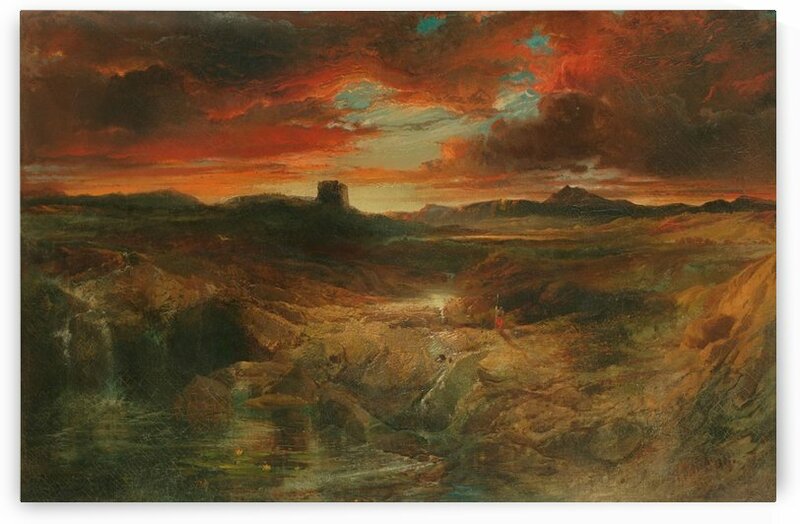 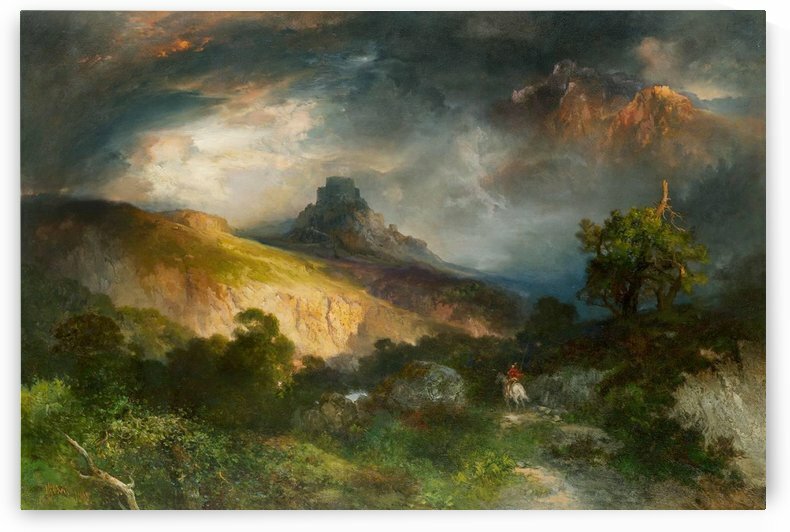 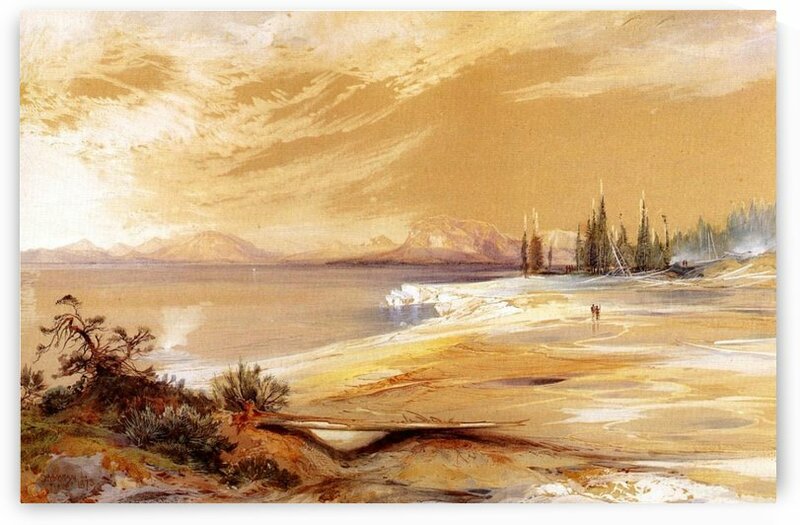 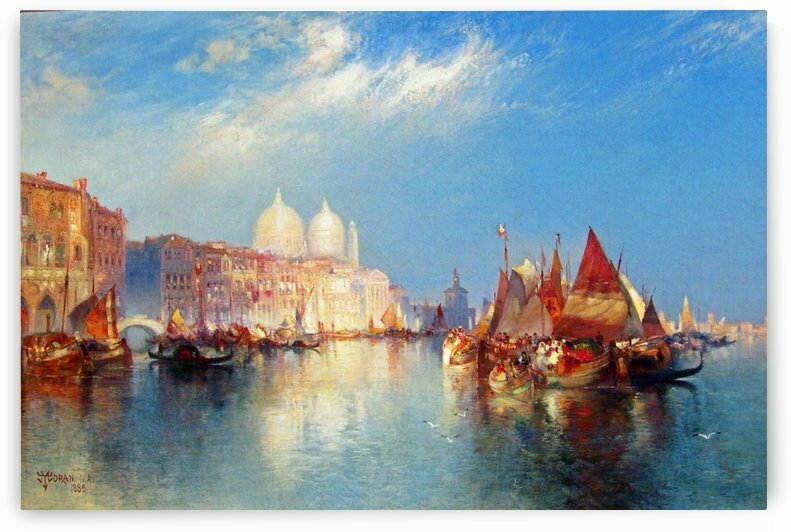 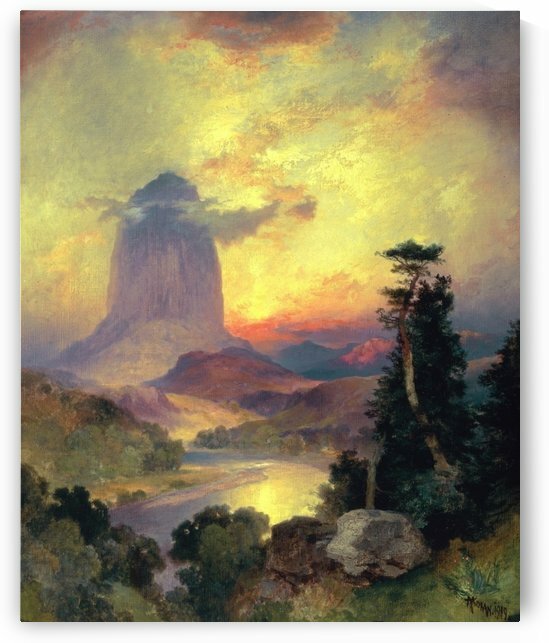 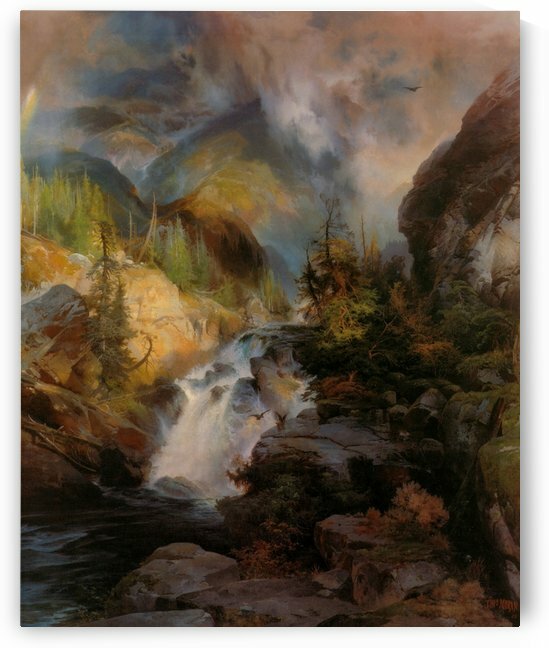 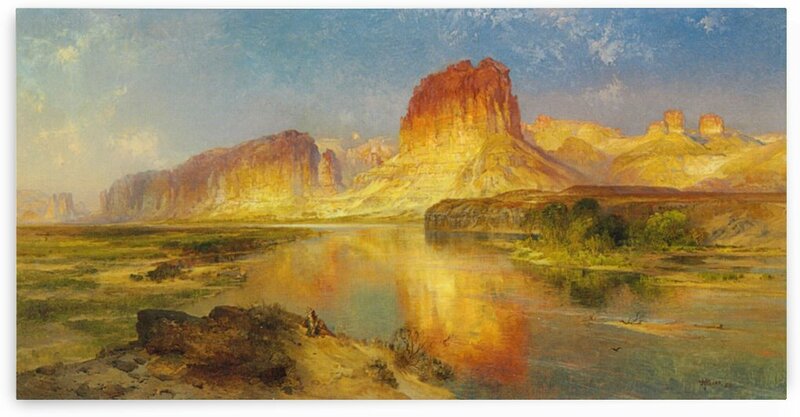 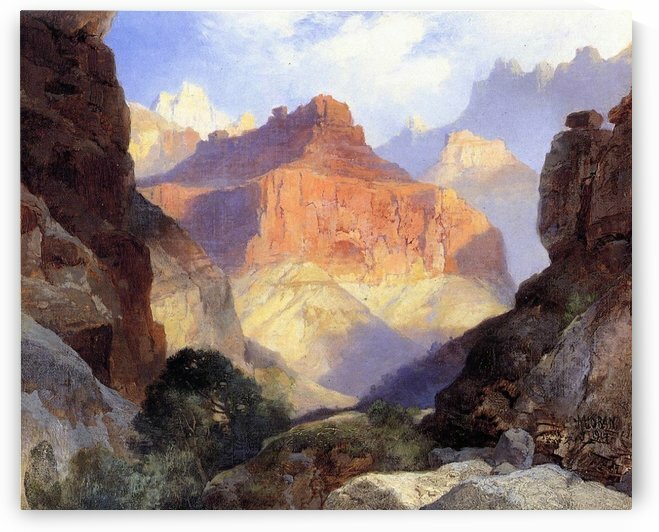 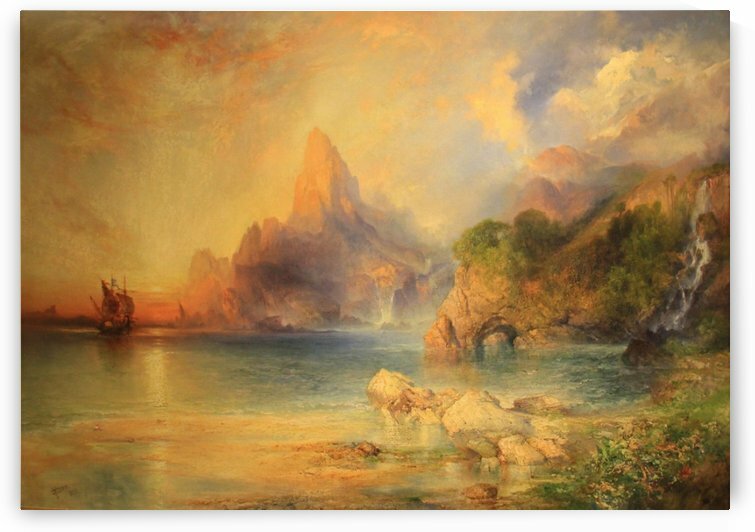 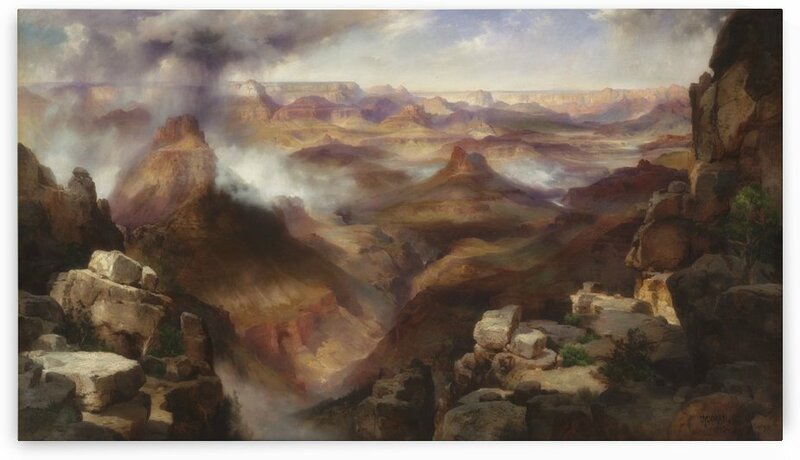 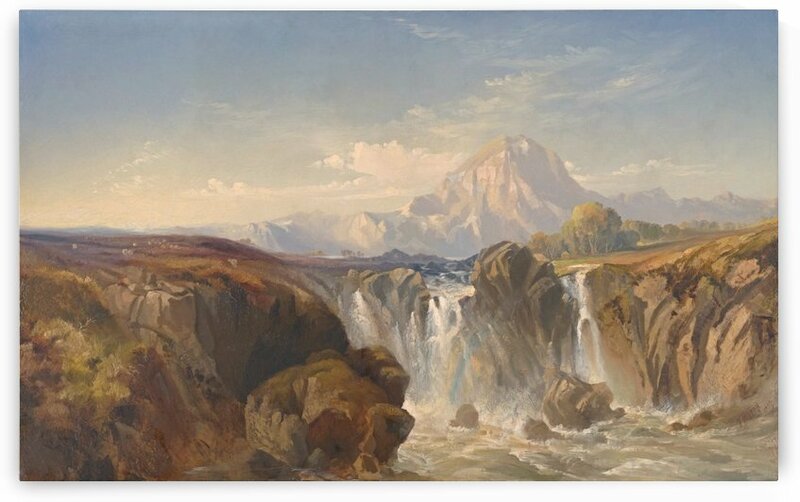 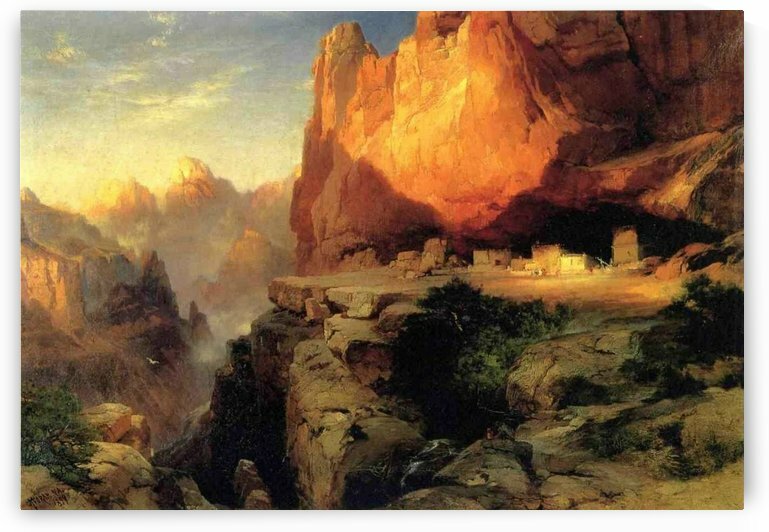 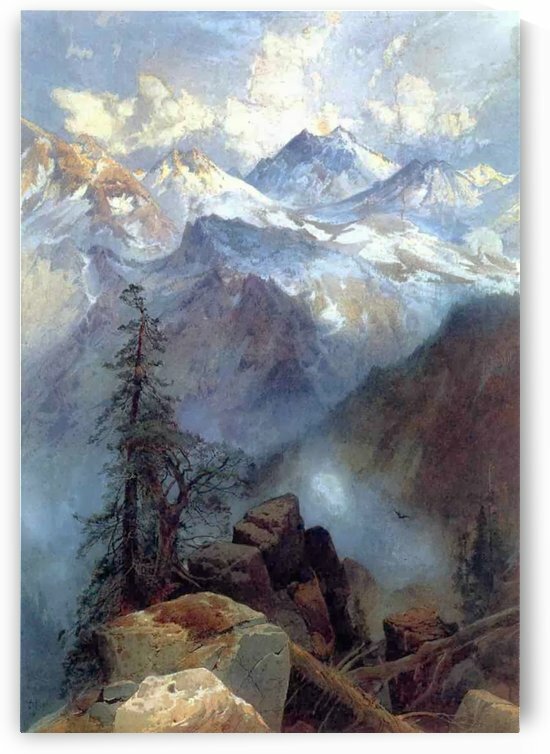 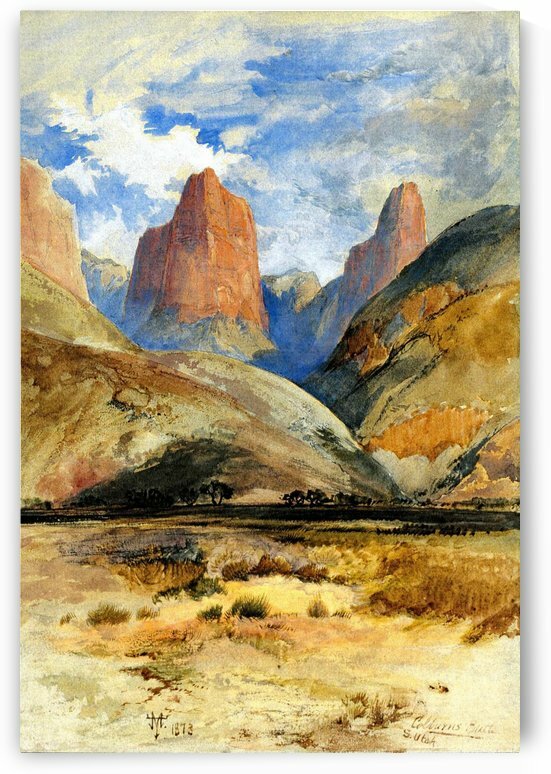 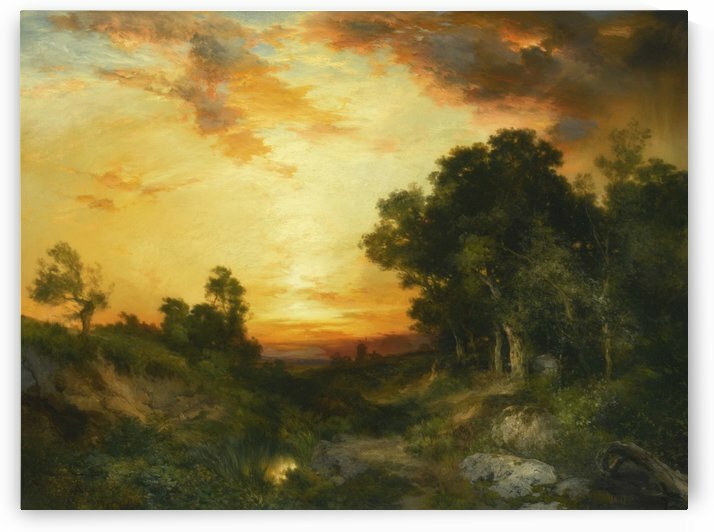 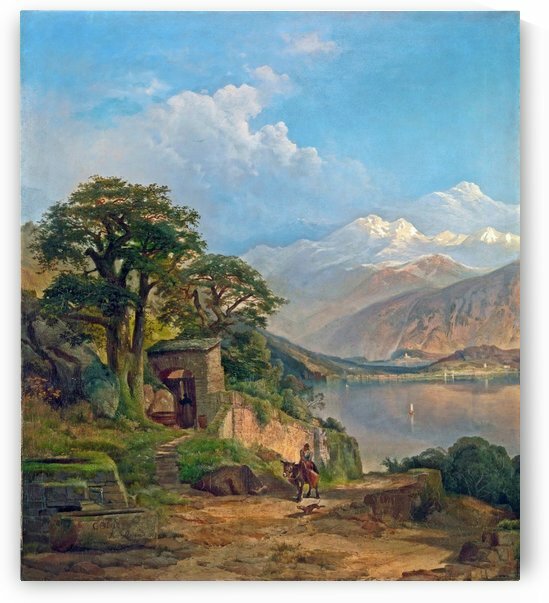 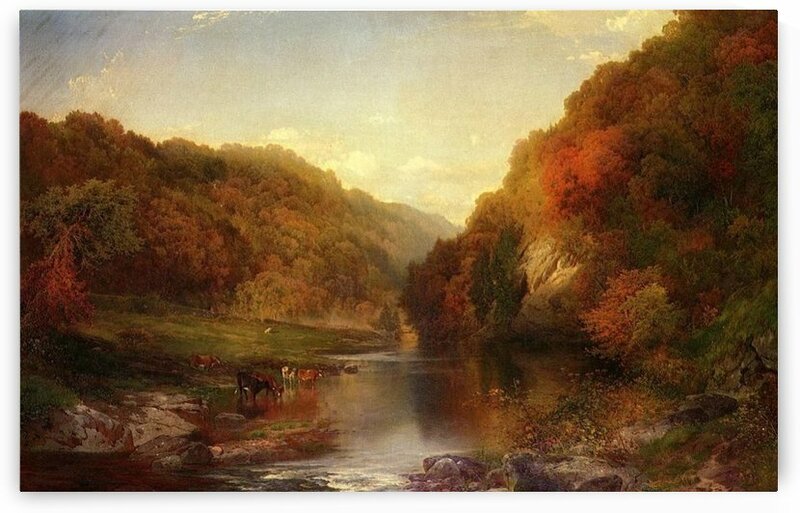 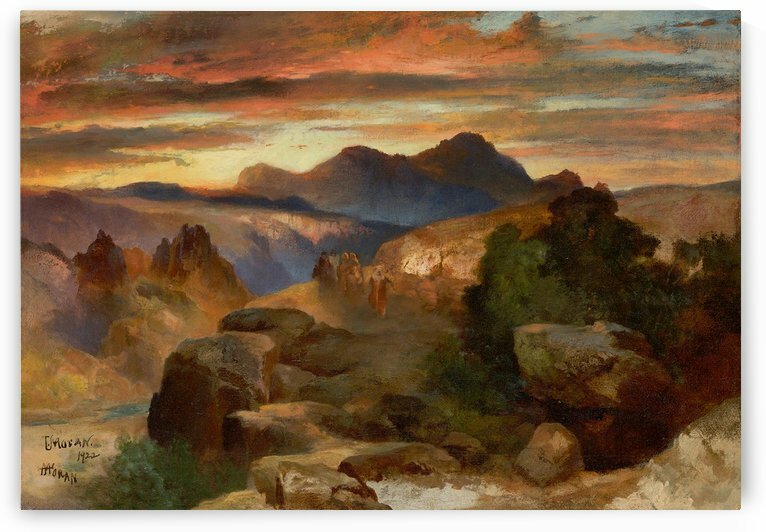 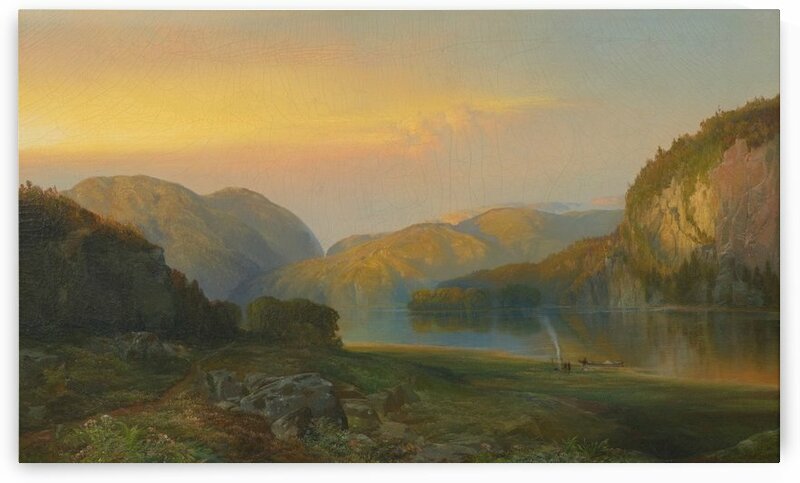 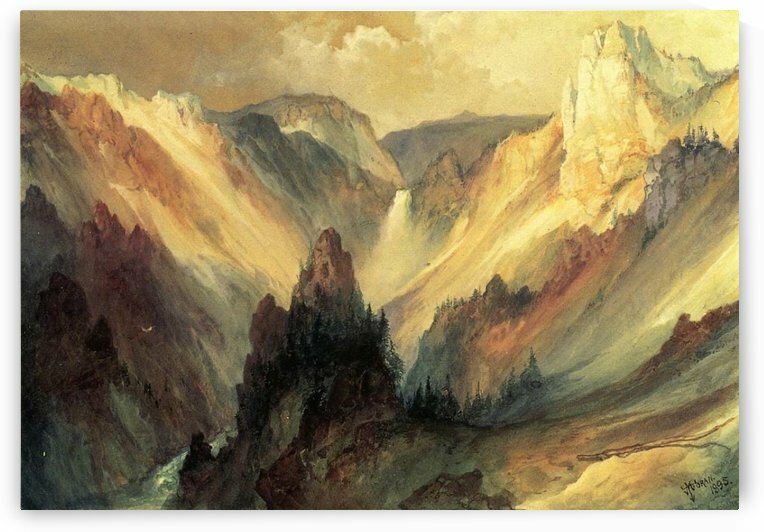 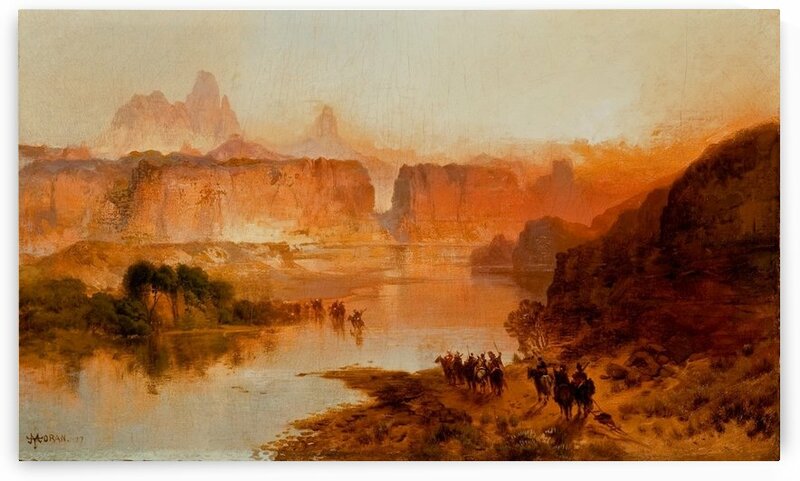 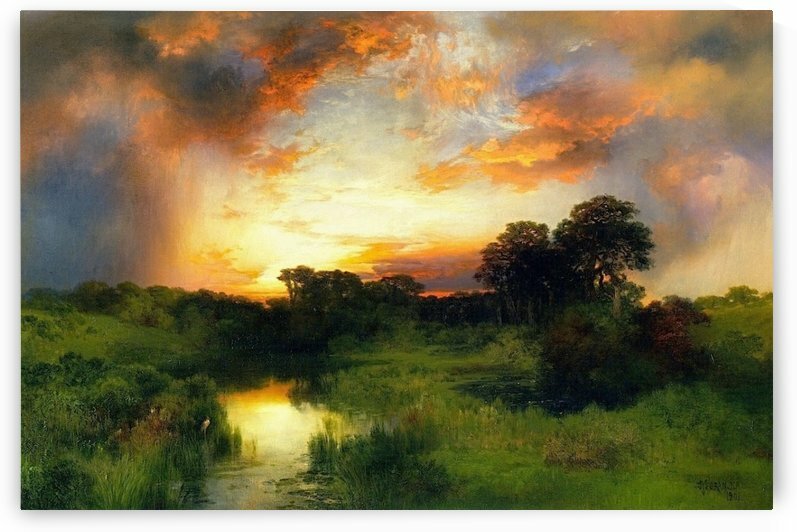 Thomas Moran (February 12, 1837 – August 25, 1926) was an American painter and printmaker of the Hudson River School in New York whose work often featured the Rocky Mountains. 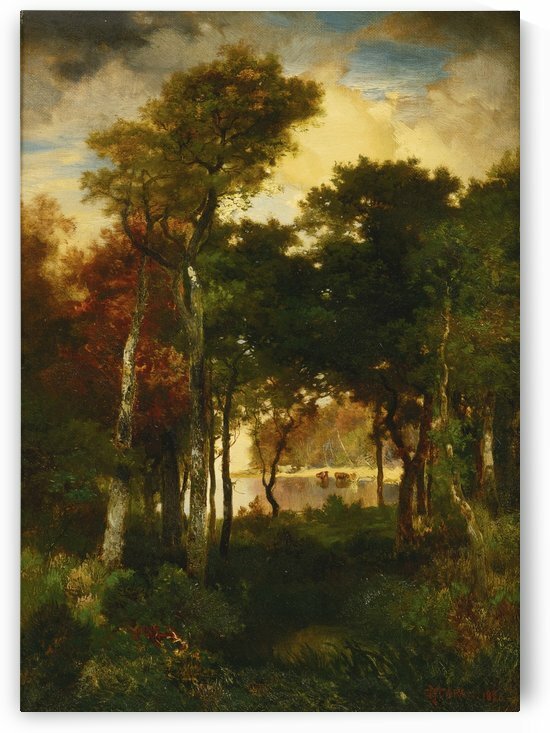 Moran and his family, wife Mary Nimmo Moran and daughter Ruth, took residence in New York where he obtained work as an artist. 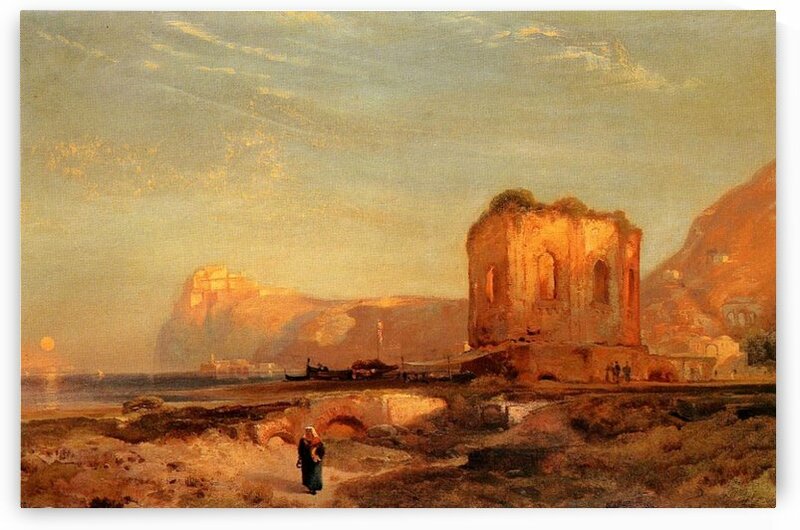 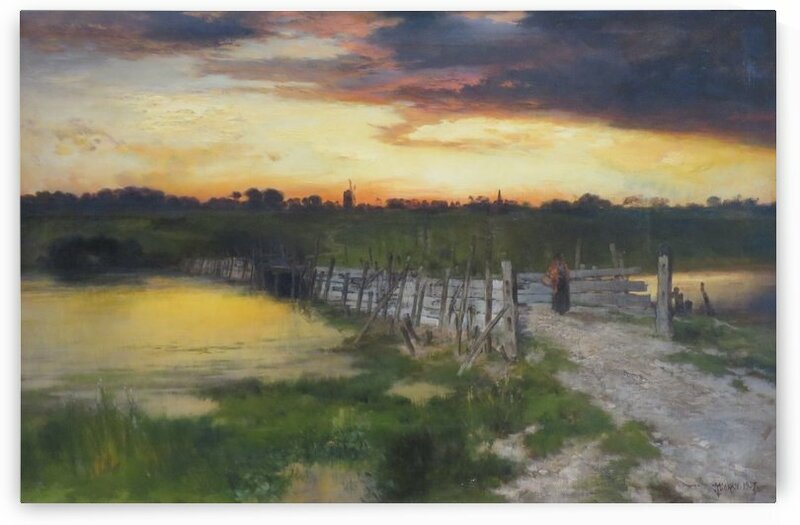 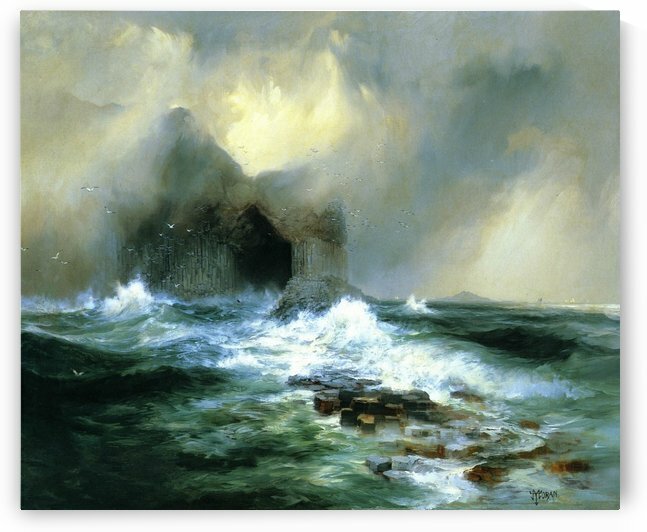 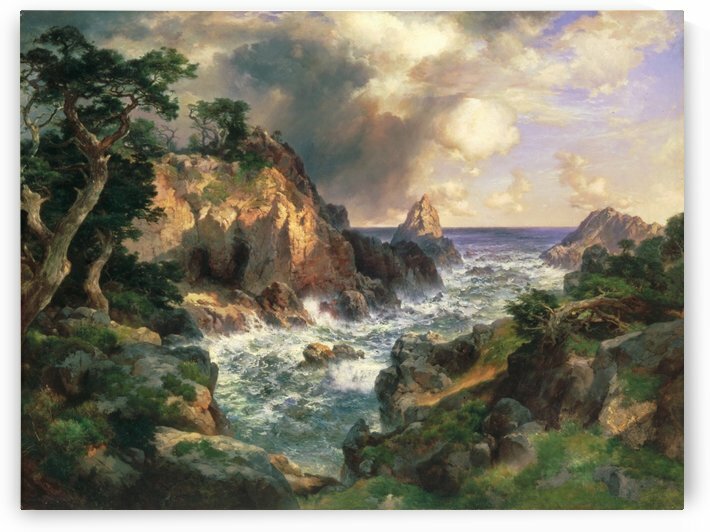 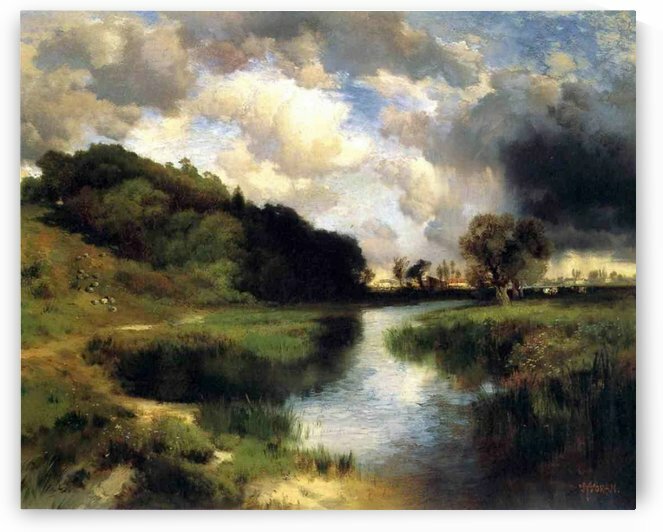 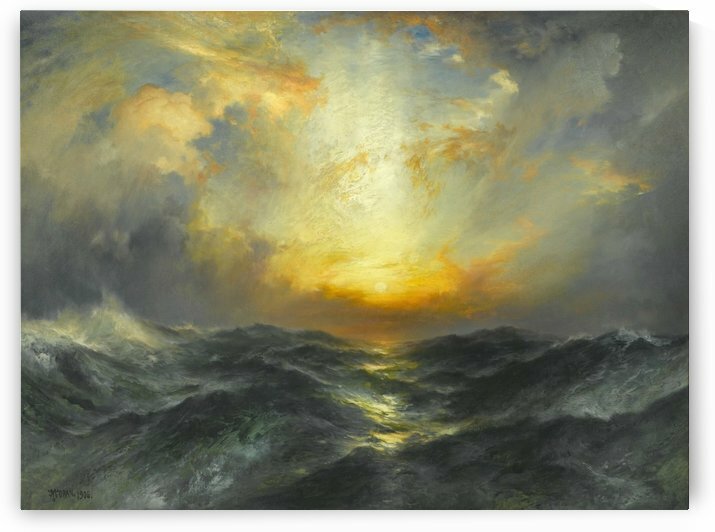 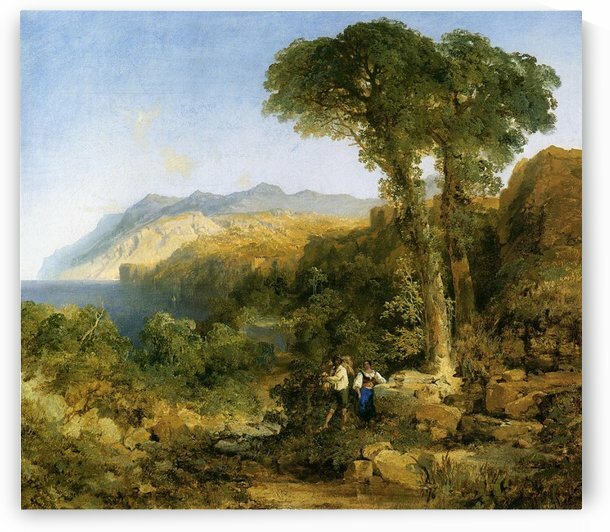 He was a younger brother of the noted marine artist Edward Moran, with whom he shared a studio. 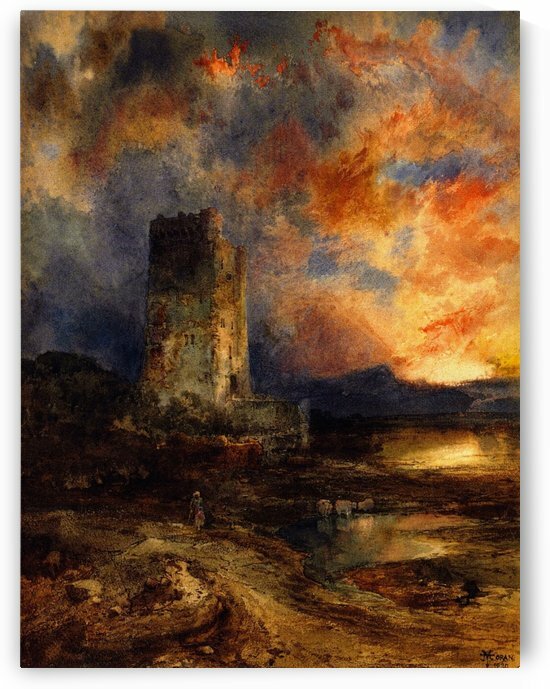 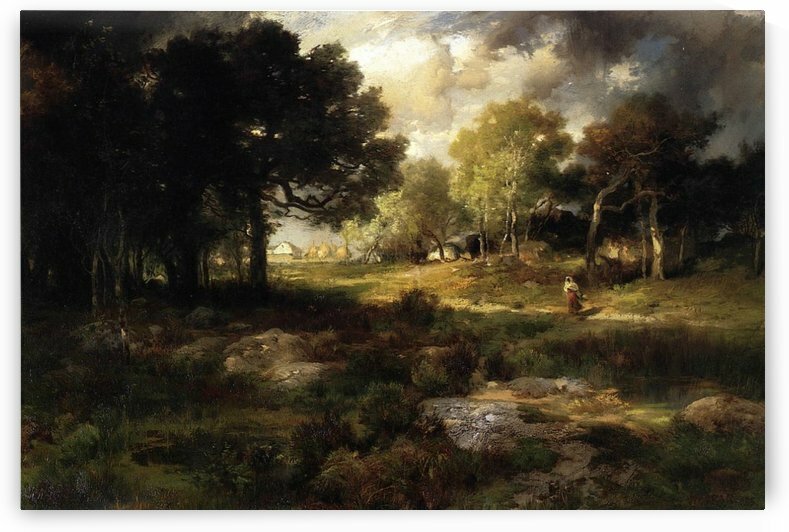 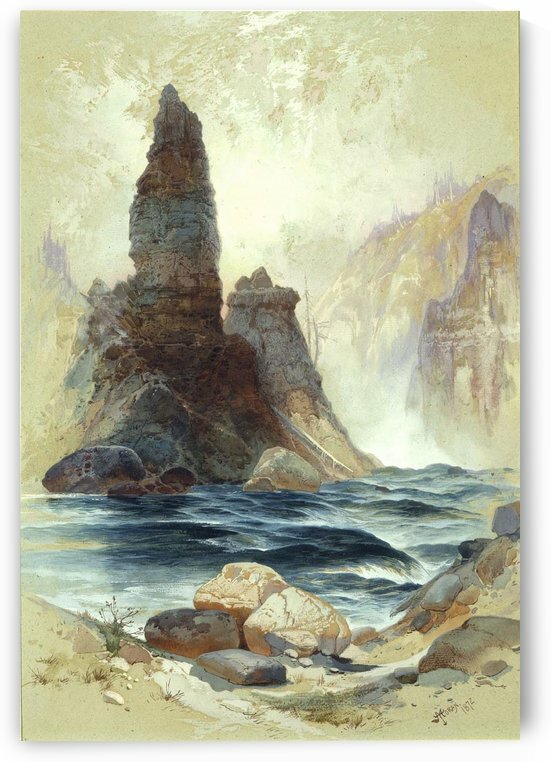 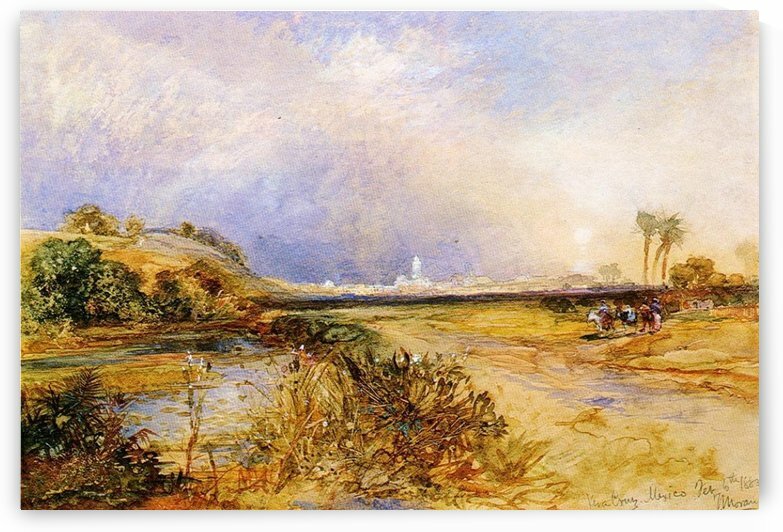 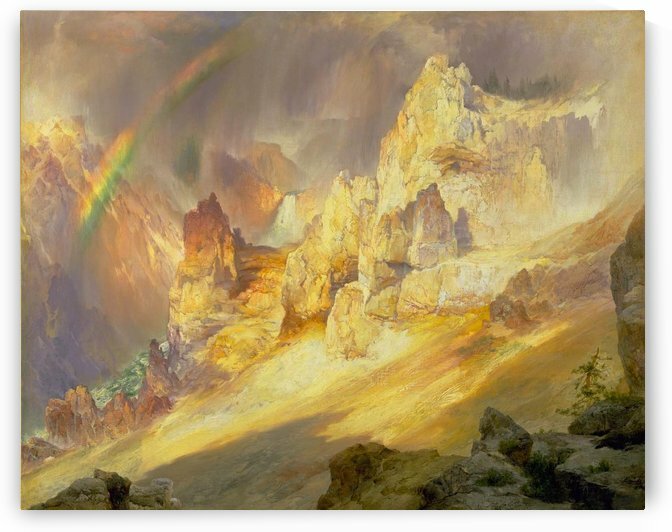 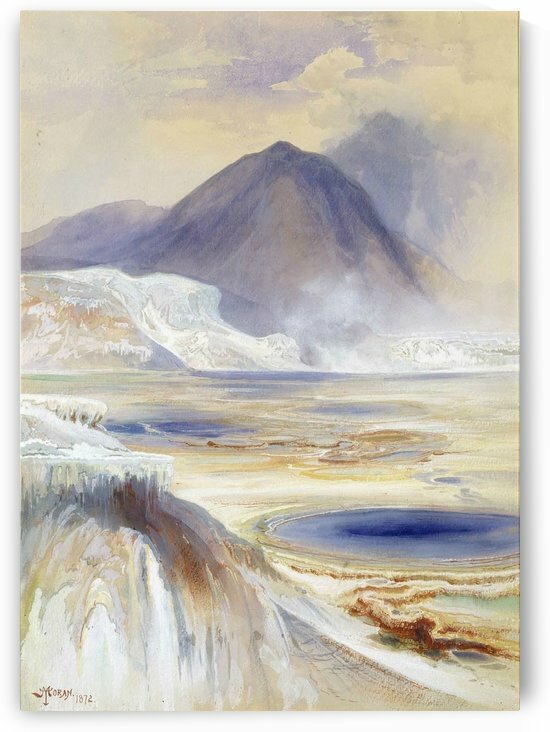 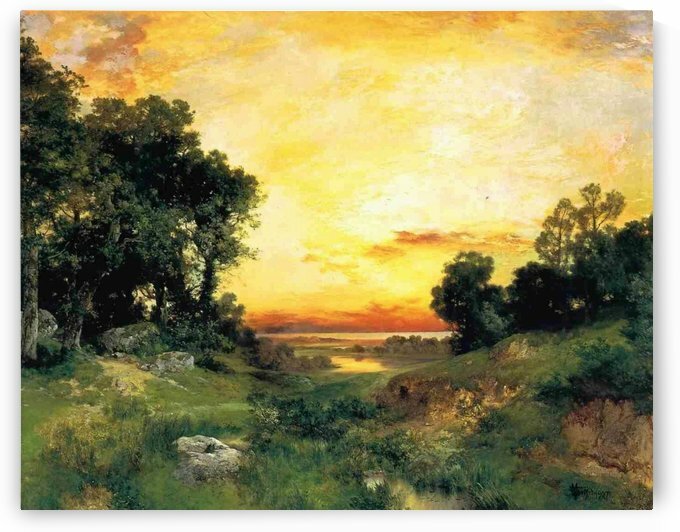 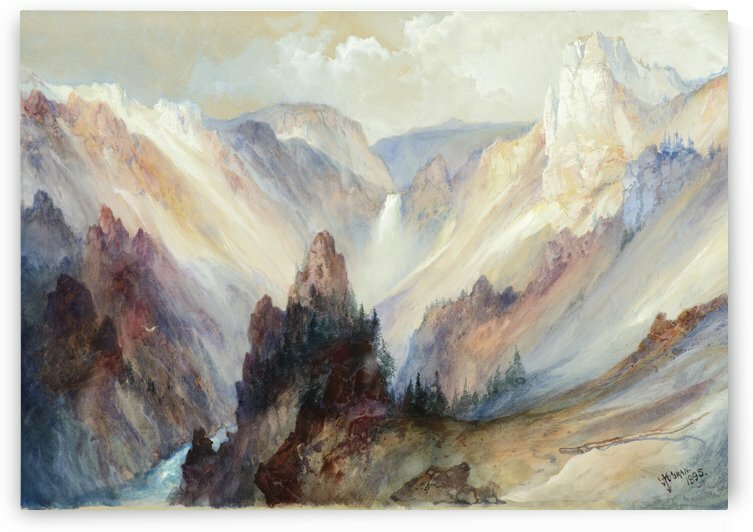 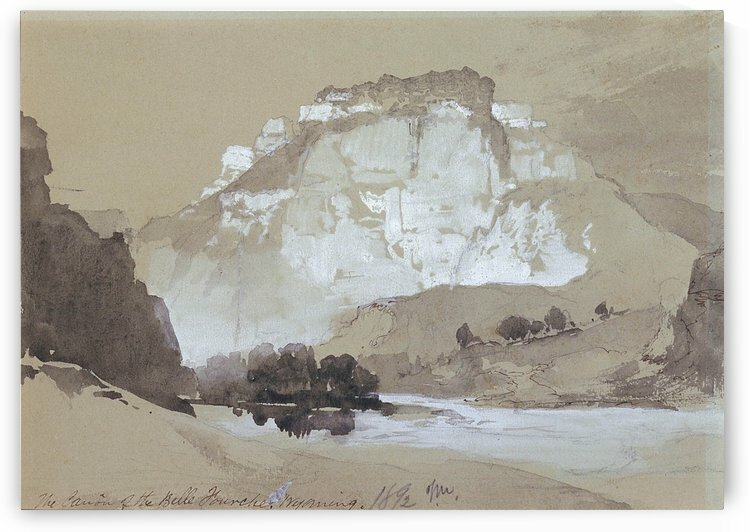 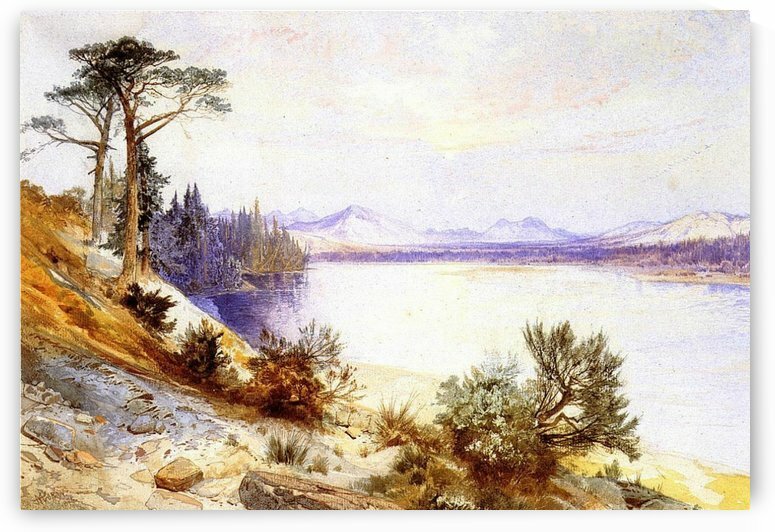 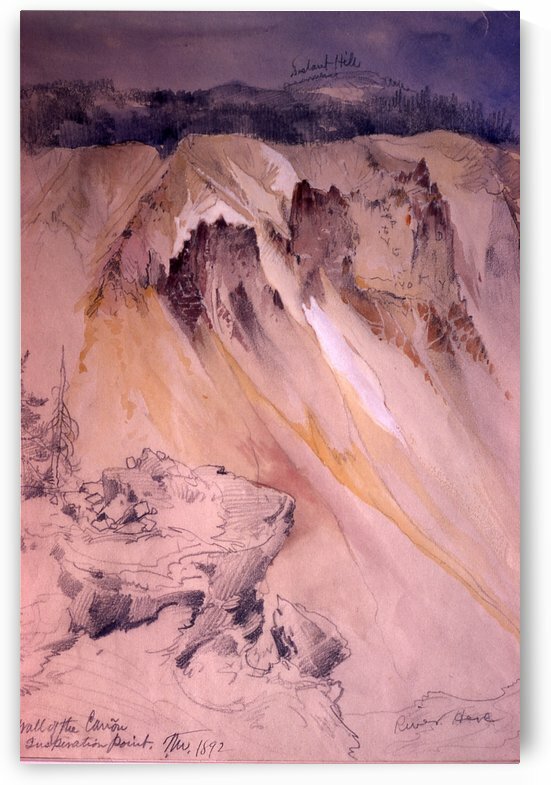 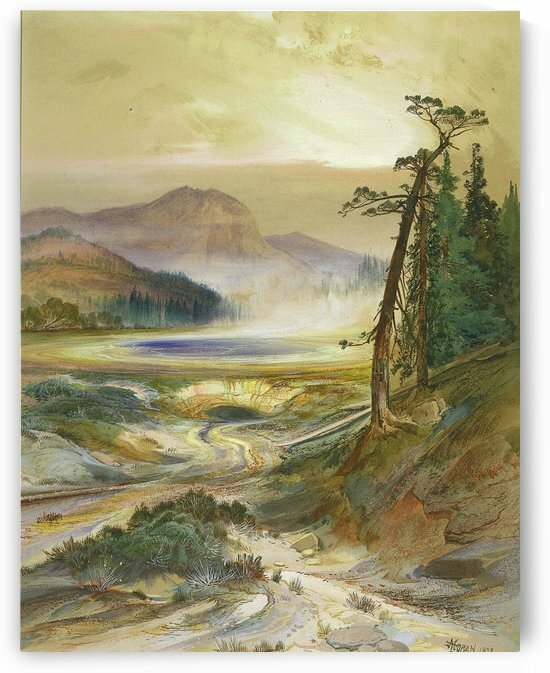 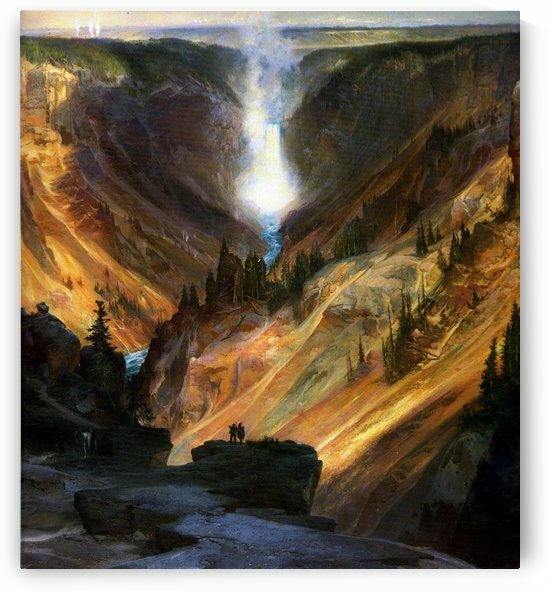 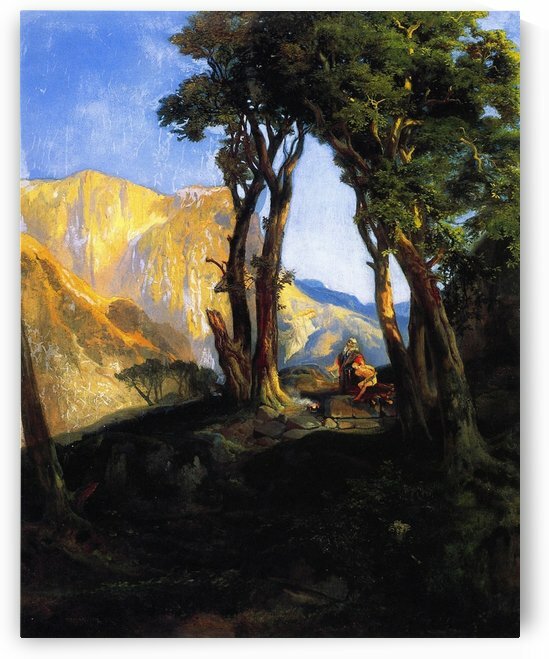 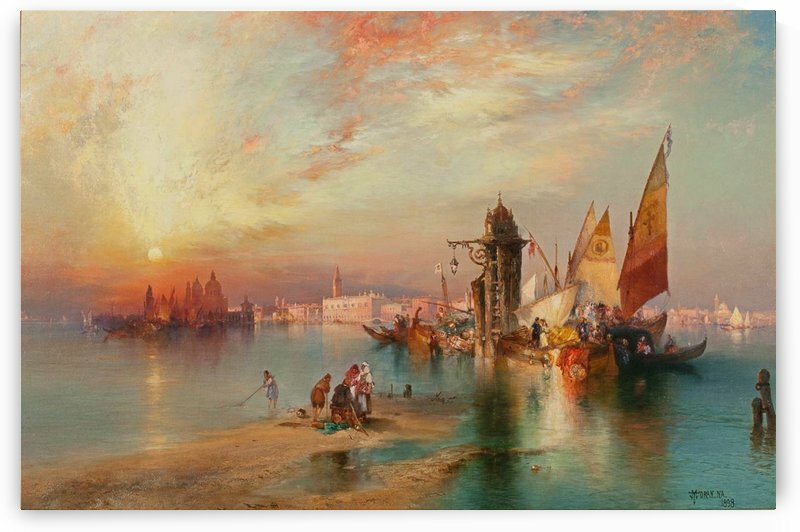 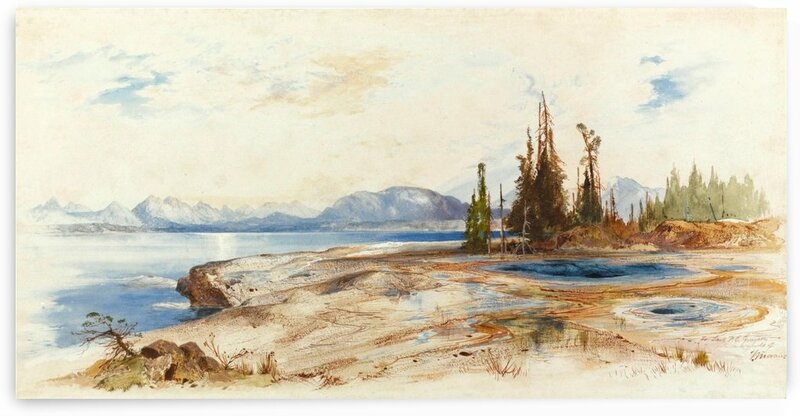 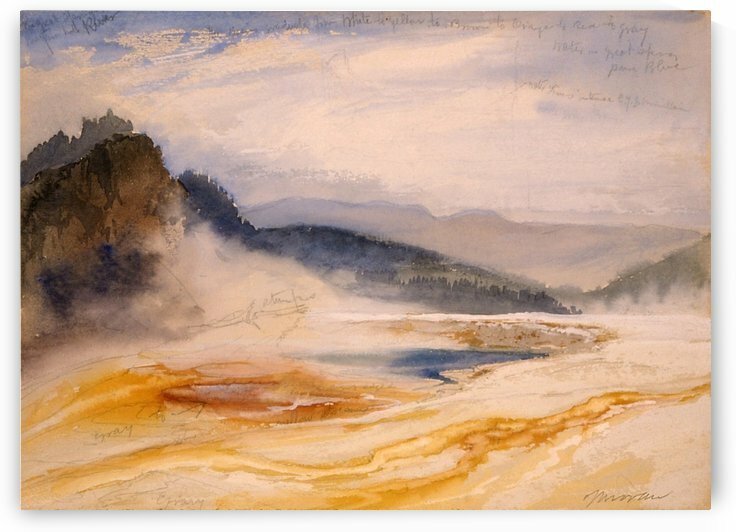 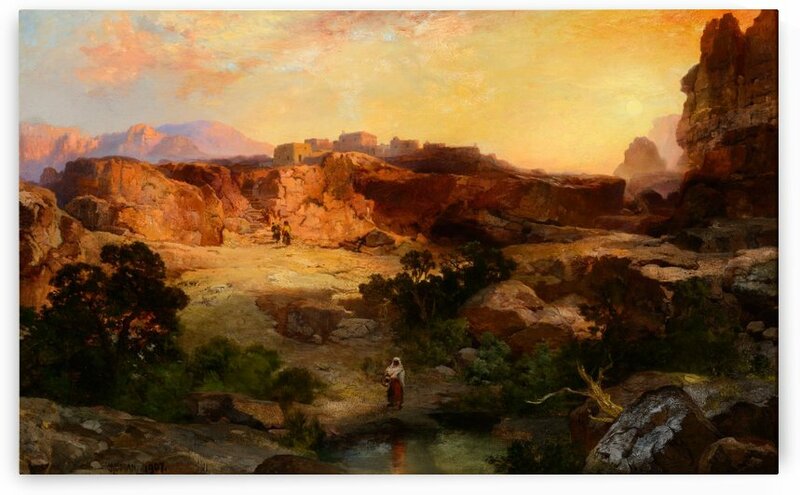 A talented illustrator and exquisite colorist, Thomas Moran was hired as an illustrator at Scribners Monthly. 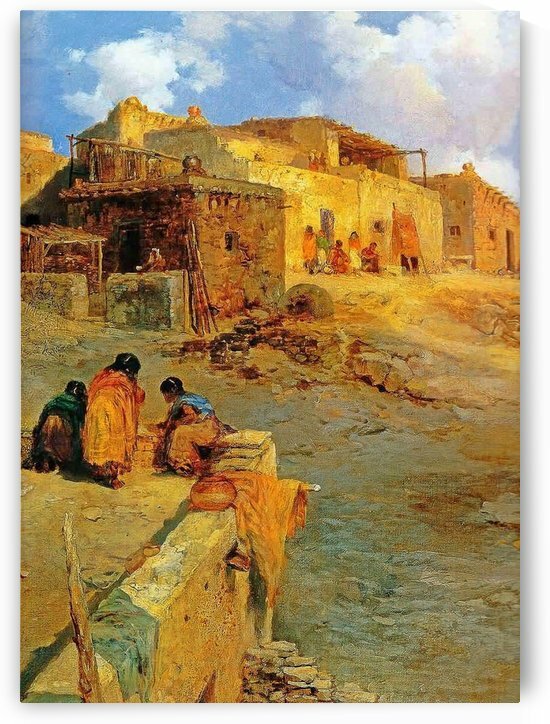 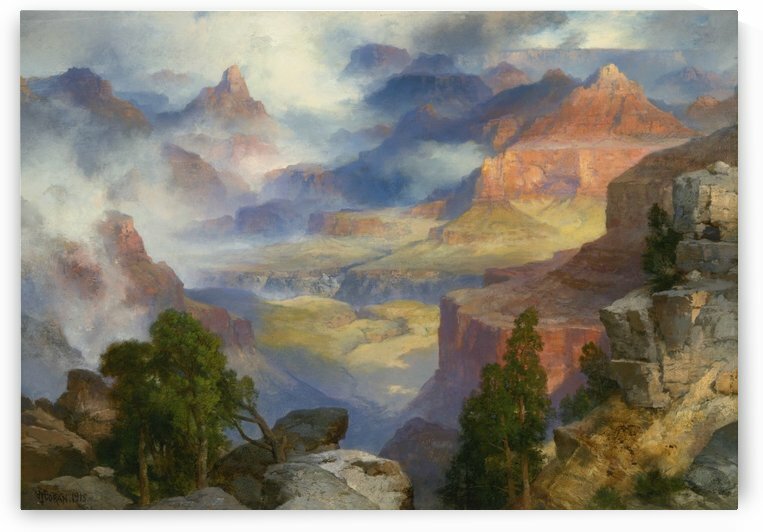 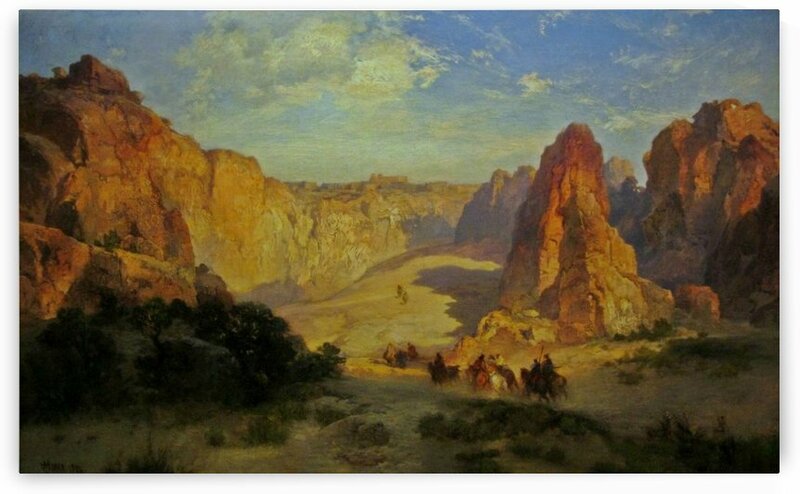 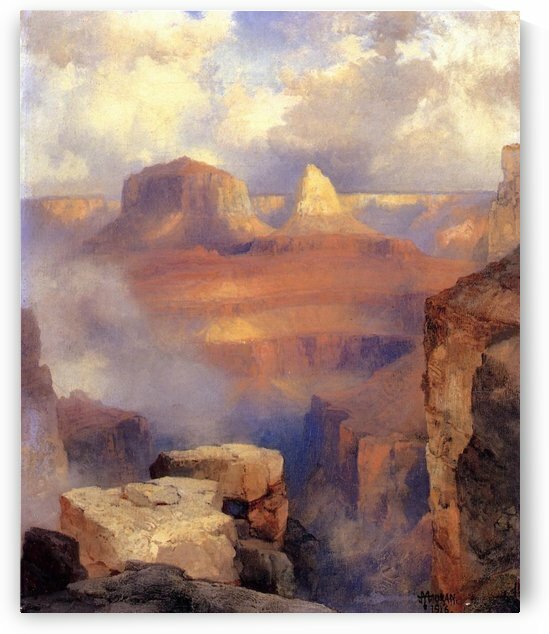 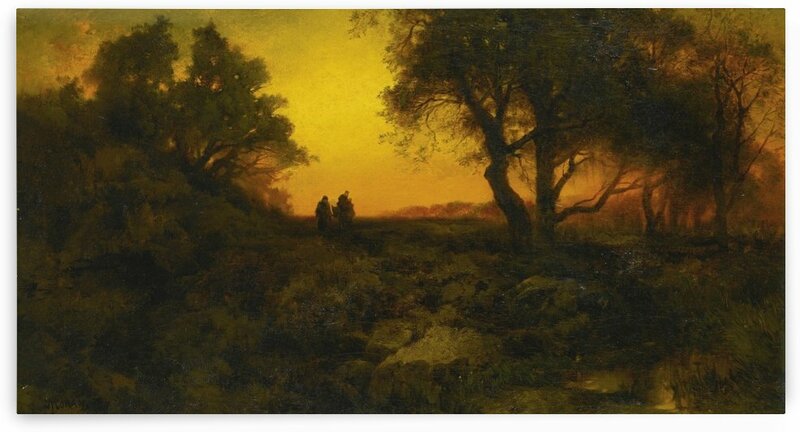 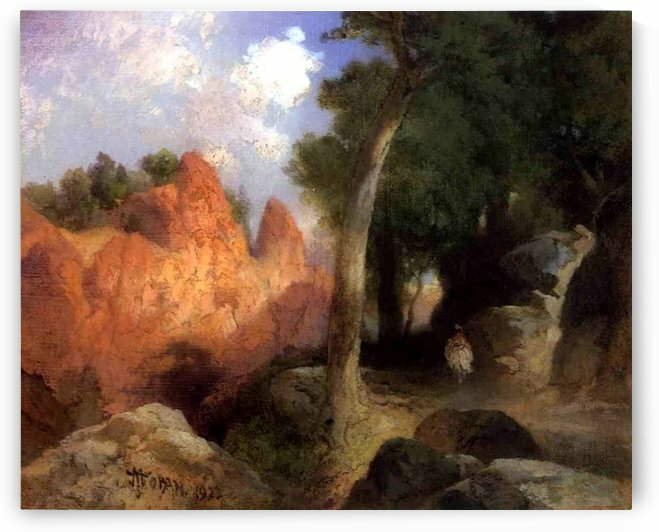 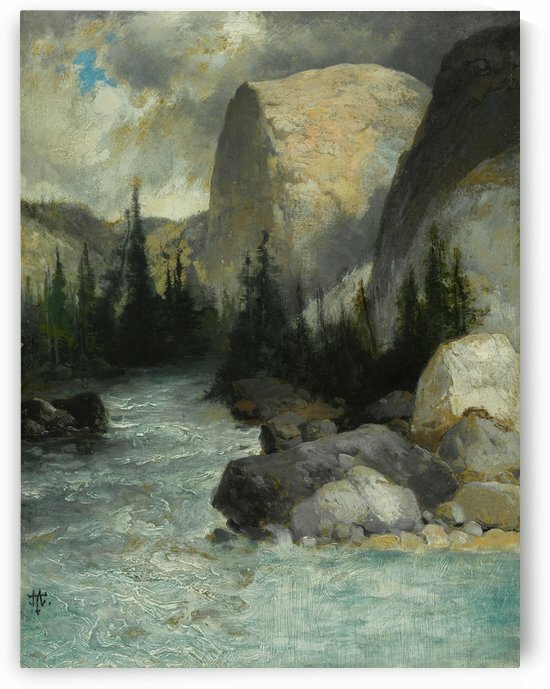 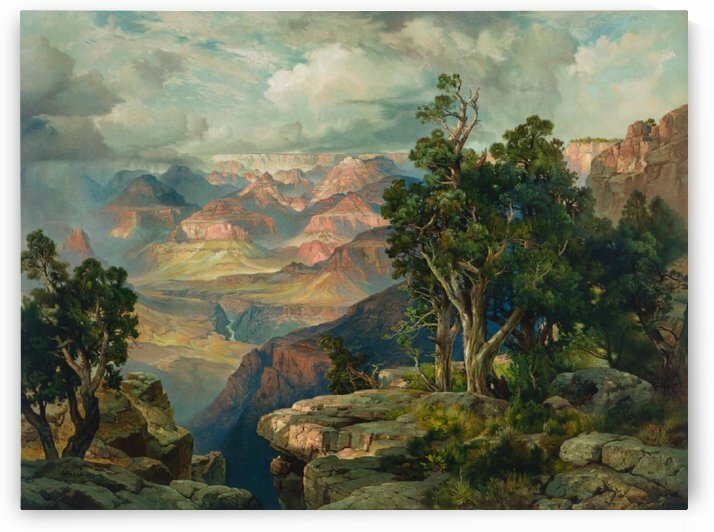 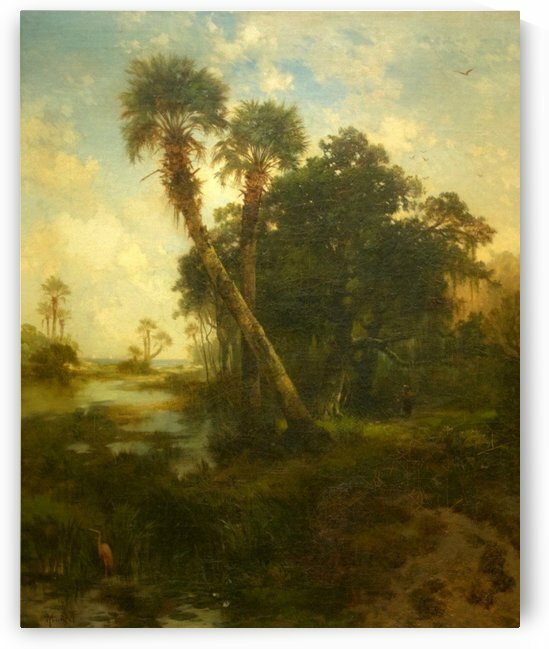 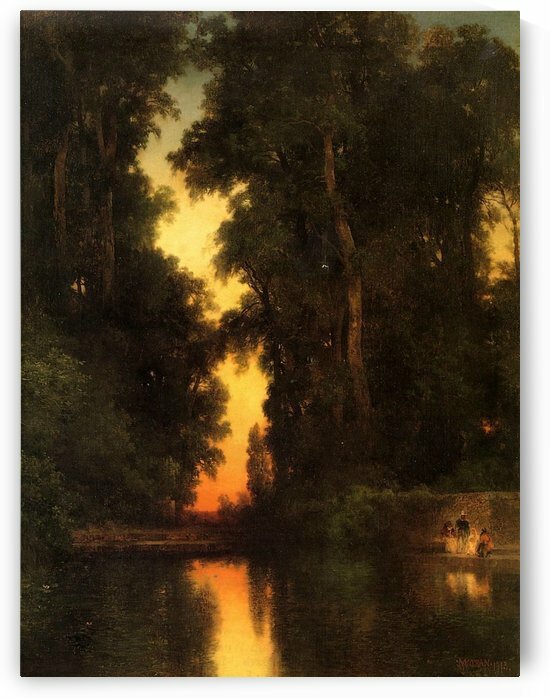 During the late 1860s, he was appointed the chief illustrator for the magazine, a position that helped him launch his career as one of the premier painters of the American landscape, in particular, the American West.